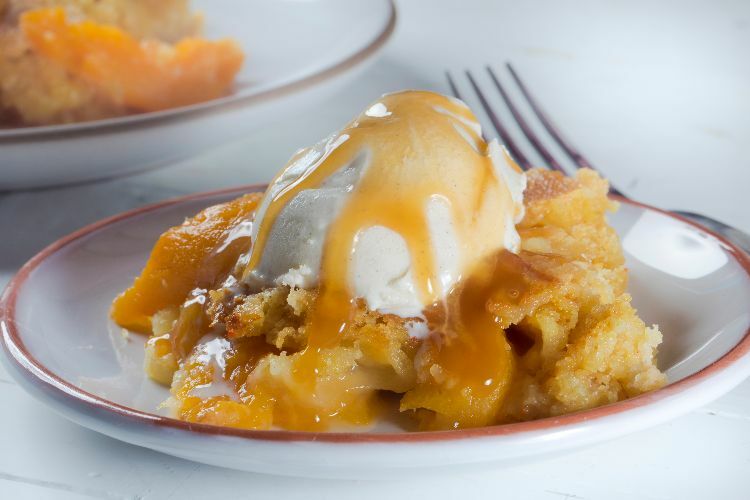 Dump cake may not sound like the most appetizing name for a dessert, but busy cooks will fall head over heels for this when they see how easy it is. All you need are three basic ingredients to make a delicious dish your family and friends will love. 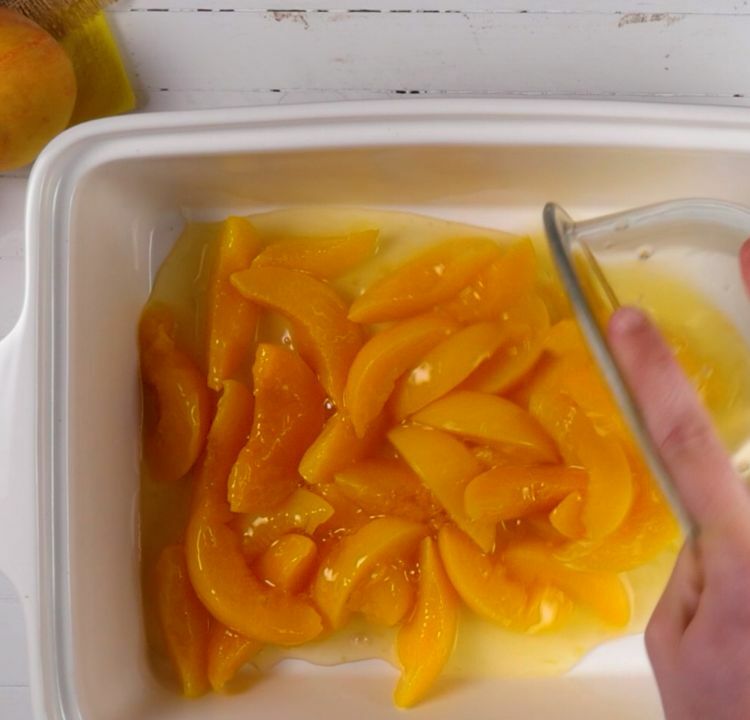 The following peach dump cake doesn't disappoint, but you can also try the recipe with another fruit, if peaches don't suit your fancy. 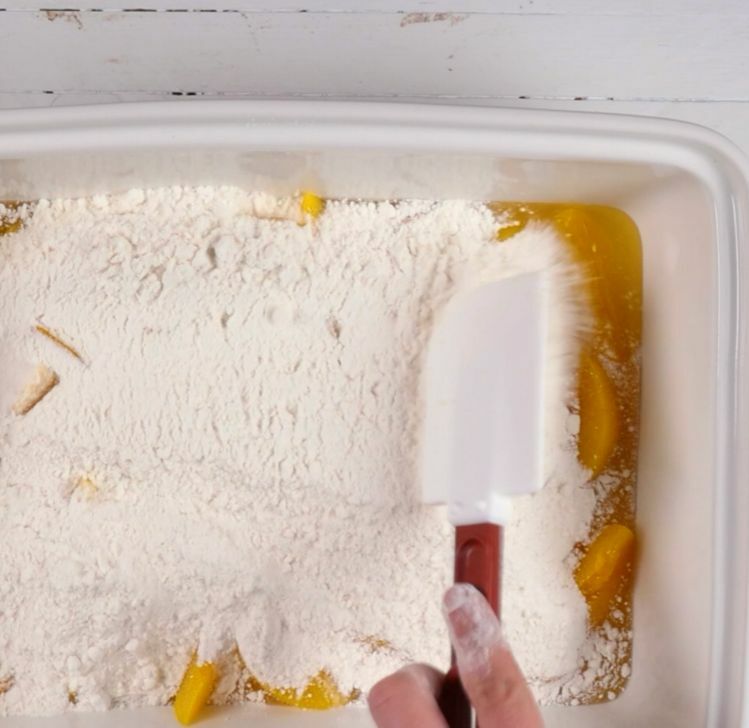 Despite its name, dump cake actually is more similar to cobbler: a layer of canned peaches topped with a layer of simple boxed cake mix. A butter topping ensures that everything bakes up moist and delicious. Top it with your favorite ice cream for a crowd-pleasing dessert. 2. 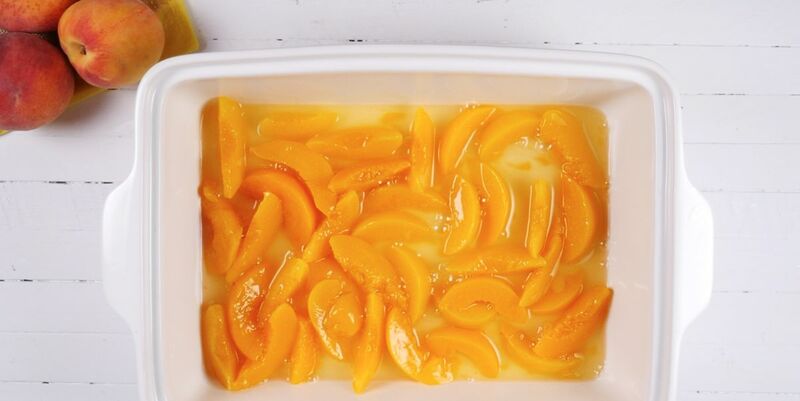 Pour the peaches into the bottom of a 9-by-13-inch baking dish. 3. 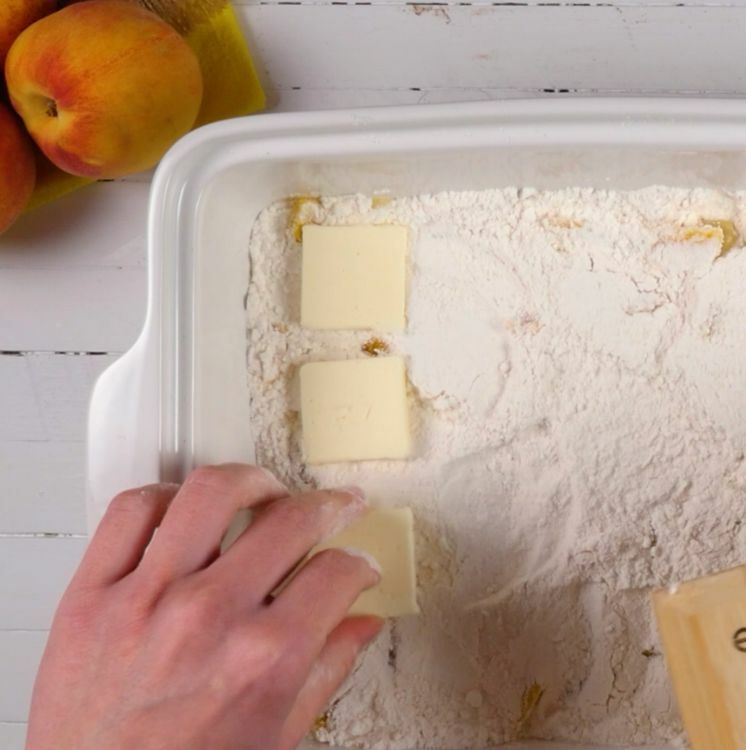 Evenly distribute the cake mix over the peaches. Press down slightly. 4. Arrange the butter pats evenly over the top. 5. Bake for 35 to 45 minutes, or until the cake mix is cooked through completely. Serve hot topped with ice cream.